There really are quite a few reasons why having an understanding of music and how it reads, can be beneficial to your musical abilities. However there are a few negative factors to consider too. Reading sight music and playing an instrument simultaneously, can develop pathways in the brain that no other exercise can develop. The genre can be limiting i.e., classical versus jazz or rock etc. You may have to play songs you do not necessarily enjoy. It is imperative to choose to study a musical genre that not only challenges you, but stimulates your passion. There is no sense attempting to study something that you either do not love or find utterly boring. Alternative (Not an official format of study). 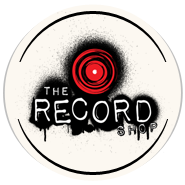 http://therecordshopnashville.com/wp-content/uploads/2018/10/nashville-recording-studio.png 0 0 Editor http://therecordshopnashville.com/wp-content/uploads/2018/10/nashville-recording-studio.png Editor2015-06-05 15:34:162015-06-05 15:35:37Should I study Music?